Provides necessary elements to skin. It contains 2000mg of collagen, glutathione (extracted from yeast), vitamin C, grape skin extract (with resveratrol), hyaluronic acid and silk protein. These combination produce a significant whitening effect. It inhibits melanin, fading dark spots, maintains skin elasticity and stimulates skin regeneration. 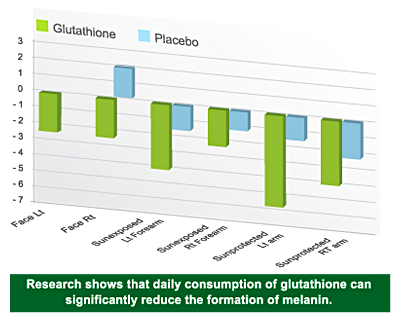 Melanin is a pigment produced by melanocytes which is found in the basal layer of epidermis. 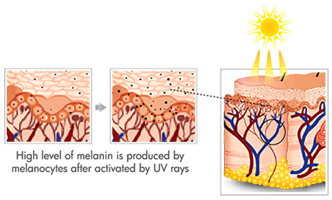 In the circumstances of sunâ€™s ultraviolet rays, computer radiation, endocrine disorders, nutritional imbalance, life stress, smoking and the use of improper skin care products will promote melanocytes cell division; the activated tyrosinase will catalyse the production of melanin in cell. Uneven distribution of excess melanin will lead to dull skin and dark spots. Feel the visibly bright and moisture skin with Ino White Jelly! 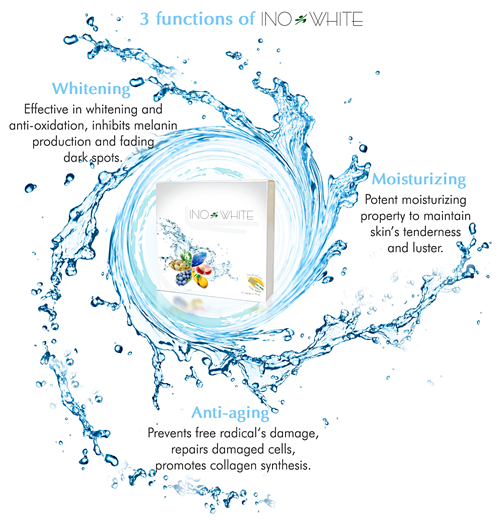 Ino White promotes general well-being while improving the skinâ€™s texture, inhibit melanin and complexion thus allowing one to look and feel healthier and even younger! Stimulates blood circulation to provide necessary nutrients and oxygen to cells, replenishes and regulates water content of skin to maintain skinâ€™s elasticity and tenderness. Glutathione is a natural compound which composed of three types of amino acids (cystine, glutamic acid and glycine). Cysteine is part of glutathione; this amino acid has detoxification function and also acts as a very potent antioxidant. Whitening effect is 3 times stronger than glutathione or vitamin C alone. Anti-oxidation effect is 4 times stronger than resveratrol alone. Consume one pack daily, before meal. Best served chilled. Consume with InoGen Collagen Drink for best results.